In southern California, if you are arrested and charged with DUI, get legal assistance at once from an experienced Orange County DWI defense attorney. Should you be convicted of DUI, you’ll be ordered to enter an alcohol treatment program. A good DUI defense lawyer may be able to help you avoid a conviction or receive a reduced sentence. Upon a first DWI conviction in California, you will be ordered into a treatment program; the length of the program will depend on the circumstances of your conviction, especially your blood alcohol concentration (BAC) level. In Los Angeles and Orange counties, a 3-month treatment program is required for offenders whose BAC level measured below 0.15 percent; offenders whose BAC level measured above 0.2 percent must complete a 9-month program. A 6-month program is required for those whose BAC level registered between 0.15 and 0.19 percent. In many cases, a good DWI defense lawyer can discredit the results of chemical blood tests and have a DUI charge reduced or dismissed. 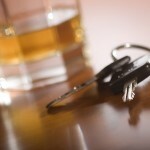 A good DWI defense lawyer can also represent you before the DMV regarding your driver’s license. If your license is suspended by the California Department of Motor Vehicles (DMV) for a first offense DUI, and you did not refuse to take a blood or breath test, you can usually obtain a restricted license after your suspension has been in effect for 30 days. The restricted license allows you to drive to work and back and to your alcohol treatment program and back. To receive a restricted license you must be in a treatment program, pay a $125 fee, and file an SR-22 form to prove you have automobile insurance. You cannot have your full driving privilege reinstated until you complete treatment. 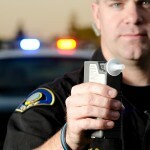 For second and third DWI convictions in California, an 18-month treatment program is mandatory. If you face any DUI charge in southern California, now or in the future, protect your freedom and your driving privilege, and call an experienced Orange County DWI defense attorney immediately.